Clinical Conductor is the industry’s first collaborative and configurable CTMS for managing research or executing clinical trials. The system provides users with the specific features and functionality they need to recruit effectively, improve overall patient visit satisfaction, maintain billing and research compliance and maximize profitability. Used by over 1,800 organizations around the world, Clinical Conductor provides organizations with the tools they need to raise the bar in clinical research. ClinEdge and BTC Network provide a full range of clinical and outsourced business services to clinical research sites, pharmaceutical companies, and CROs. Together, the two companies represent four business segments: two global networks of research clinics with over 1,000 physician investigators, site financial management, and patient recruitment/retention. Recruitment and retention services include, but are not limited to, online engagement and advertising, a national patient database, patient travel concierge, national and local advocacy, and an in-house call center. With extensive experience across over 300 different medical indications representing all therapeutic areas, the ClinEdge and BTC Network teams have helped to successfully conduct thousands of clinical studies over the last several years. Come by and talk to one of our representatives to see what we have been up to! If you are too busy to see us you can also drop Christian Burns an email at Christian@clin-edge.com or visit www.clin-edge.com or www.btcsites.com. Don’t forget to come to SCRS’s best party on Friday night! 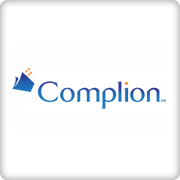 Complion is a flexible, enterprise-wide platform that enables clinical research sites to centralize and process regulatory documents across their organization. Built by clinical researchers for clinical researchers, Complion removes walls between physicians, administrators and staff by intelligently providing secure access to the right document when they need it. Leading sites, hospitals, academic medical centers, health systems and cancer centers around the country use Complion to save money, improve compliance, and streamline operations. Hylant works with life science and clinical research firms to manage expected and unexpected risks. Whether your organization specializes in medical devices, clinical research, clinical trials, pharmaceuticals, biotechnology or product and technology development, your Hylant team has the deep knowledge to partner effectively with you on your business insurance and risk management program. With over eighty years in business, we tailor solutions to our clients’ needs, negotiate and advocate on their behalf and solve business challenges allowing our customers to focus more on their business than insurance. Visit Hylant.com to learn more about how our experts can help your business succeed. ICON plc is a global provider of outsourced development solutions and services to the pharmaceutical, biotechnology and medical device industries. 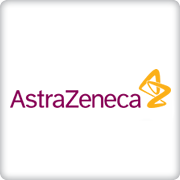 The company specialises in the strategic development, management and analysis of programmes that support clinical development. With headquarters in Dublin, Ireland, ICON currently operates from 97 locations in 38 countries. Medix Clinical Research offers workforce solutions and consulting services for sites, sponsors and CROs. Our in-house clinical research expertise will help you enhance operational strategy, maximize financial efficiency and bolster your talent pipeline. Quorum Review IRB is a privately-held, independent ethics review board fully accredited by AAHRPP. Our mission is to safeguard the rights and well-being of research participants. With 15 board meetings a week, we provide sponsors, CROs, institutions and sites with reliable, responsive service to support efficient study start-up and management. RealTime Software Solutions, LLC is a global industry leader of innovative technologies that are streamlining the way research gets done! Solutions include the RealTime-SOMS system for sites that packages CTMS, eDOCS, eSOURCE, TEXT and PAY into a seamless system for complete site operations management at the single-site or enterprise level. RealTime is also bringing disruptive new technologies to Sponsors and CROs to further enhance the study management process. Learn more about RealTime solutions at www.realtime-ctms.com or call (210) 852-4310. Veeva Systems Inc. is a leader in cloud-based software for the global life sciences industry. Committed to streamlining the end-to-end clinical trial process, Veeva offers the industry’s first cloud platform that combines EDC, CTMS, eTMF, and study start-up to unify clinical data management and clinical operations. Veeva has more than 625 customers, ranging from the world's largest pharmaceutical companies to emerging biotechs. 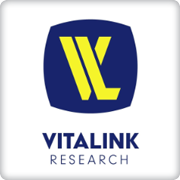 VitaLink Research is wholly owned and dedicated solely to clinical research networks that connects researchers, doctors, and patients with the shared goal of bettering research across the industry - all in one place. We are a true “one stop shop” for high quality research and results. Each of our research facilities focuses solely on conducting clinical trials and collecting the most accurate data possible. Research should never be an afterthought. At VitaLink, it’s the priority. Advarra is the premier provider of IRB, IBC and global research quality and compliance consulting services in North America. We provide customized, dedicated services for more than 2000 institutions, academic medical centers and research consortia and are fully sIRB ready. By delivering exceptional client service, innovative technology and unmatched regulatory expertise, Advarra provides integrated research compliance capabilities to help make research altogether better. 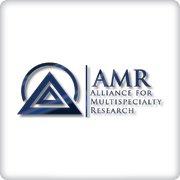 The Alliance for Multispecialty Research, LLC is a nationwide company of 17 Clinical Research locations recognized as among the most experienced in the industry. AMR acknowledges the importance of multi-site coordination using our standardized processes. This allows us to maximize economies of scale and consistency in order to exceed Sponsor goals ahead of schedule and under budget. Antidote powers clinical trial search on hundreds of patient advocacy websites, including JDRF, Lung Cancer Alliance, Healthline, and many more. This search allows millions of patients to opt into trial notifications. Now, research sites can access this active network of engaged patients, and reach out to those whose profiles align with the eligibility criteria of a particular study. Start connecting with patients in your area. Visit www.antidote.me. BRANY is a clinical trials service provider, offering an array of comprehensive and efficient support services to Sponsors/CROs, Institutions, Hospitals and Private Sites conducting research. Over the past 15 years, BRANY has worked diligently to develop a strong infrastructure of services that support researchers and organizations in their pursuit to conduct quality research. BRANY’s unique model offers Local/Central IRB, Study/Site Identification, Contract and Budget Negotiations, Clinical Trial Coverage Analysis, Research Education, Research Compliance and Consulting services. www.brany.com. 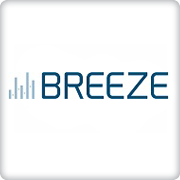 Fully automated clinical trials and site management solution. Electronic source, drug accountability, and more. Created by experienced PI and proven in 300 clinical trials, 8 successful FDA inspections, and 11,000 patients. 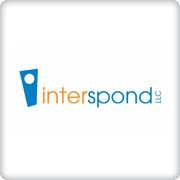 Intuitive Cloud application accessible from everywhere and on any device. Transform your site to paperless painlessly and reap huge benefits from this complete system that manages your trials from set-up to archive. Extensive demo's will be available. In the meantime, you can call 210.614.4800 for a demo and information! Elias Research Associates (SMO) works as a site advocate to effectively partner research sites with CROs and Sponsors. Elias provides professional administrative and financial services by centralizing weekly study opportunities at no upfront cost, streamlining document submission and communications, accelerating study start-up, and providing extensive contract and budget negotiation expertise. As a full-scale clinical research service company, Gen1 Research handles all aspects of the clinical trial process for a truly turnkey experience. Our extensive, multi-specialty network of research-ready physicians and patients allows us to match your study with the right participants across multiple sites. ImageBloom is a full service advertising agency that specializes in helping sites and sponsors improve their enrollment capabilities for clinical studies of all kinds. There is no one-size-fits-all approach, so our professionals with years of research experience will develop a plan for success on a local or global level. Insearch is a clinical business development company dedicated to study identification and the site selection process. Our exclusive network of principal investigators provides sponsors and CROs with experienced and successful clinical research sites located throughout the US. The network consists more than 350 investigators at more than 250 site locations. The size of our network grants us a unique perspective into understanding the capabilities of each investigator and site, allowing us to match sponsor/CRO studies with sites that have the most appropriate combination of: investigator and staff experience, facility accommodations and access to qualified, committed research subjects. If you are a site that needs personal and productive business development or a sponsor/CRO that needs investigators that fit your studies, please come visit our booth. We are also available via our website www.insearchgroup.net or direct contact with Vincent Napoli (727) 544-4842, vnapoli@insearchgroup.net. Life Line Screening is the largest direct-to-consumer preventive health screening company in the U.S.; founded in 1993. 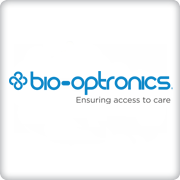 They provide screening and close contact interaction with 700,000 patients at 15,000 events every year. Life Line has supported screening for over 60 clinical trials to date, delivering dramatic reductions to study timelines. MedPoint Digital develops specialty eClinical platforms for investigator portals, virtual investigator meetings and monitor remote site visits. Our digital solutions enable sites to be more productive, with study eBinders, site message centers, eClinical sign-on centers, online study training and site dashboards. All systems are ICH-GCP compliant and designed to be user-friendly. Prepaid Technologies helps clinical research sites make their patient payments processes more seamless and cost-effective. Leveraging our 20-year history and diverse experience in the prepaid card space, combined with our ability to integrate with CTMS platforms and workflow processes, we deliver solutions that help improve retention and the overall patient reimbursement experience. Visit us at www.in-prepaid.com/scrs. Roche focuses on finding new medicines and diagnostics that help patients live longer, better lives and evolve the practice of medicine. Our company has a 120-year history of advancing the field of medicine and bringing novel treatments and diagnostics to patients. Our purpose is: Doing now what patients need next. Introducing, Scout Clinical, a part of the Meeting Protocol Worldwide family. At Scout Clinical, we, provide a full range of patient concierge services on a global scale, having worked in 101 countries to date. These services include expense/reimbursement via debit card or electronic funds transfer, ground transportation, flights/trains, hotels, long-term housing, translation services, visa management, cultural liaison services and any special assistance required. At Scout Clinical we tailor each service to fit the unique needs of each study and sponsor. Reporting is customized to sponsor specifications providing useful, transparent and real-time data. We consult with the study team on the regulatory process for patient services, specifically related to ICF language and IRB/EC submissions. Our HIPAA and GDPR- compliant system is simple for patients, caregivers and site personnel to use. With over 22 years of experience organizing clinical travel and expense management, we understand clinical trials and the sensitivity required to provide patient services. Please visit our booth to learn more about Scout Clinical. SIGAL SMS are a Site Management Organization (SMO), which specializes in supporting the establishment and optimization of established physicians and outpatient practices, nationwide in Germany, on their way to become a professional study site. Our ambitious target is to become the largest and most successful network of study sites in Germany and to expand internationally. Splash Clinical is an innovative patient recruitment firm that’s pioneered the use of digital & social media to recruit patients for clinical trials. The company was founded to help solve the problem of patient enrollment in clinical trials by leveraging the power of social media, data analytics and mobile technologies. Our team works with Sponsor’s and CRO’s from across the globe, supporting 5,000+ study sites in 19 countries. Over the past 7 years, Splash Clinical has proven successful completions of more than 300 digital & social media patient recruitment campaigns. Splash Clinical has a broad range of therapeutic experience including CNS, immunology, women’s health, oncology and rare & orphan disease states. With our extensive digital & social media knowledge, our campaigns reduce the time and diminish the expenses that are often required to recruit patients. The Patient Recruiting Agency (TM) (TPRA) is a full service patient recruiting and retention organization supporting Sponsors, CROs, SMOs and Investigators in Canada and the United States since 1999. TPRA has been incorporated in Canada since 2004 and began recruiting patients in 1999. Since that time, TPRA has completed over 2,200 clinical trial campaigns for over 150 indications. Services include study branding, traditional and online media production and placement, study-specific websites, patient phone screening and RADIUS365TM, TPRA's online platform for tracking and managing all response, referral, randomization and retention activities in real-time. One of TPRA's specialties is the production and placement of customized direct-to-patient advertising and technological solutions specifically for clinical trials. The unique characteristic that sets TPRA apart from other competitors is that all services are performed by TPRA's own IN-HOUSE staff with no outsourcing which offers its clients greater flexibility, accountability and cost-efficiencies than those offered by other competitors. For more information about TPRA services and capabilities please contact Corrie Palm, or visit TPRA’s website, www.PatientRecruiting.com. Total Clinical Trial Management (TCTM), is a contract research organization based in Dallas, Texas. TCTM has a unique perspective on emphasizing the relationship with the clinical research site as a primary driver for successful clinical trial completion. TCTM has a wide range of therapeutic expertise with recent areas of focus including pain, orthopedic injury, GI, dermatology, cosmetics, over-the-counter (OTC) and generics studies. M3 Wake Research Integrated Site Network is an owned group of premier clinical research sites that is a unique and innovative resource for Phase I - IV clinical trials. We offer Principal Investigators with a wide variety of therapeutic expertise who conduct studies that are suitable for a demographically and geographically diverse pool of qualified individuals. The Wake Research sites encompass 11 locations in 6 states across the Western, Southern and Southeastern United States with a database reaching nearly one million subjects. We offer partners centralized contract and regulatory support, and feature an in-house marketing and advertising team focused on quick-starts to enrollment. Our board-certified physicians have completed more than 6,000 successful clinical trials. Clinical trials at our sites are completed on time and with accuracy. We consistently exceed sponsor expectations for integrity, subject enrollment, human protection and expeditious delivery of accurate evaluable data. WCG is the leading provider of knowledge-based solutions that measurably improve the ROI of clinical research. For over fifty years, WCG has protected the rights and well-being of clinical research participants, fueling progress by keeping volunteers safe. By protecting people, the company has gained unique insight into every aspect of clinical trial operations and collected independent, verifiable data from over ninety percent of the world's trials. Today, WCG is using those insights to help our clients make better, more informed decisions about the conduct of their trials. Applied to a single research study--or even more effectively, across an entire research program--WCG's data-driven solutions have been proven to accelerate timelines, reduce costs, and increase the safety of clinical research. By removing many of the operational barriers to success, WCG is helping to maximize the value of clinical research. PharmaVOICE magazine provides commentary about the challenges and trends impacting the life-sciences industry, covering a range of issues from molecule through market. PharmaVOICE's more than 41,000 BPA-qualified subscribers are also kept abreast of the latest trends through additional media resources, including WebSeminars, Podcasts, Videocasts, and White Papers.